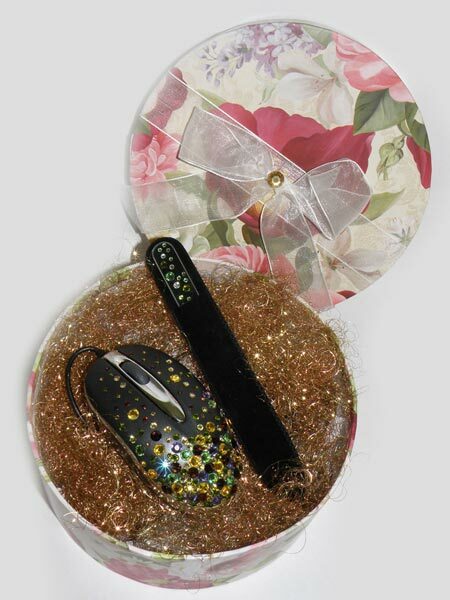 Exclusive gift sets with pocket mirrors, tweezers, pc mouse and crystal nail files. 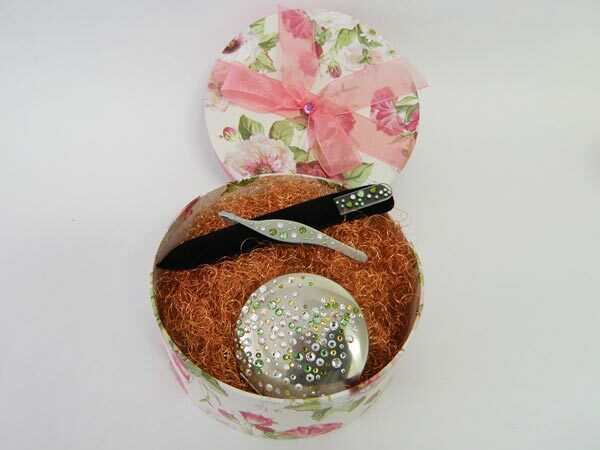 All items in our gift sets are hand decorated with genuine crystals from SWAROVSKI® ELEMENTS. 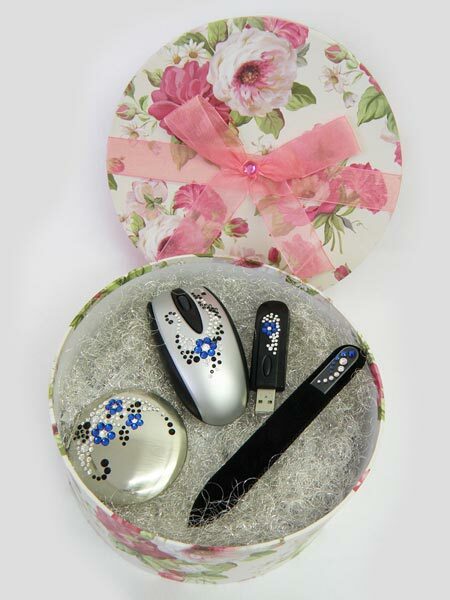 Custom gift sets can be made with different items from our assortment, minimum order quantity will apply. 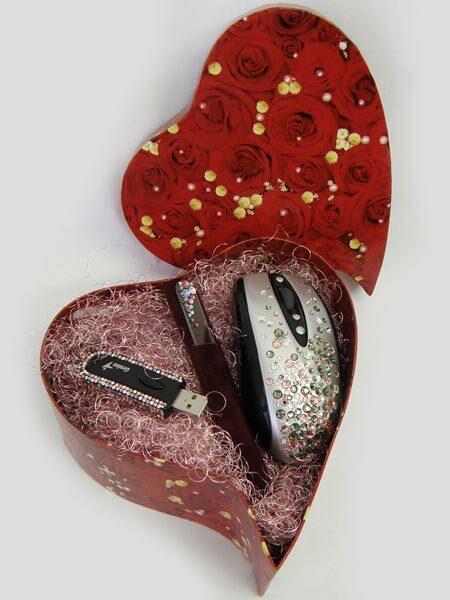 Gift sets are available in nice heart or round shaped gift boxes or other available boxes. 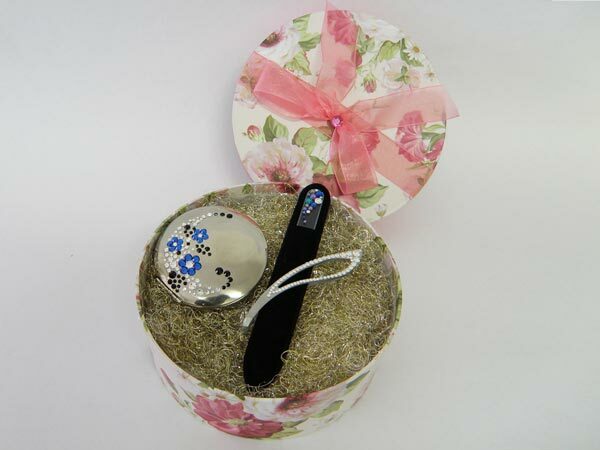 Having a great assortment of giftware items, it was a natural that we started to offer gift sets. Where to buy? You can buy gift sets in our official Mont Bleu e-shop. For wholesale prices please contact us, it is without obligations, so do not hesitate. 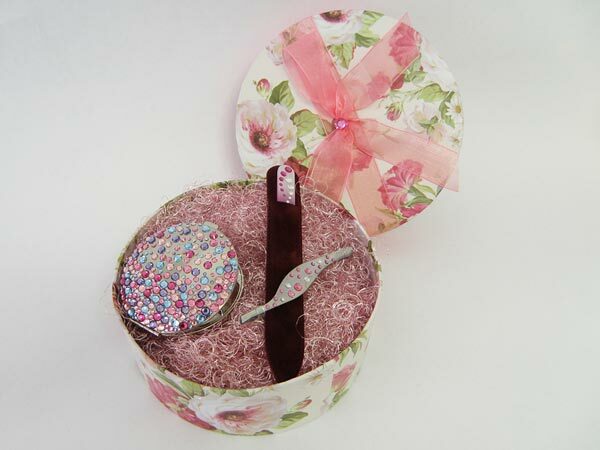 You can check pocket mirrors, tweezers and glass nail files used in these gift sets on the appropriate pages of our website. For more options for your gift, please see Luxury gifts, where you can find beautiful accessories decorated with Swarovski crystals, as for more fancy gifts please visit our Jewellry section, where you can find gorgeous sets, or separate pieces perfect as a gift.